Effective in both acidic and alkaline pH ranges. Poly [oxyethylene (dimethyliminio) ethylene -(dimethyliminio)ethylene dichloride] or Polyquaternium WSCP is compatible with other chemicals commonly used to treat swimming pool, and can be used in pools treated with chlorine chemicals and its use may reduce the amount of these chemicals normally required. Poly [oxyethylene (dimethyliminio) ethylene -(dimethyliminio)ethylene dichloride] or Polyquaternium WSCP exhibits potent antimicrobial activity combined with extremely low ocular irritancy, does not damage the ocular surface or tear film, facilitates wetting of surfaces (even contact lenses) and improves the ocular comfort. The electrostatic bond between the cation and negative charge on the cell wall of algae, disrupts the cell function and kill it. Appearance: Clear, pale yellow liquid check these lines AND CHECK BELOW. TWO SPECS ARE DIFFERENT. Poly [oxyethylene (dimethyliminio) ethylene -(dimethyliminio)ethylene dichloride] or Polyquaternium WSCP is a broad spectrum microbicide. It is used to control the growth of algae, bacteria and fungi in: Swimming pools, spas, hot tubs and decorative fountains; industrial cooling systems, air washers, and influent water systems; metalworking fluids; industrial starch solutions. WSCP should never be added to potable water systems. Swimming pools, spas, hot tubs and decorative fountains: For maximum effectiveness, pools containing a heavy growth of algae should be cleaned prior to starting the use of WSCP. Pools having just visible algae growth (greenish cast to the water or black or green spots on the walls and bottoms) should be treated with 75 to 125 ml of Poly [oxyethylene (dimethyliminio) ethylene -(dimethyliminio)ethylene dichloride] or Polyquaternium WSCP per 10,000 liters of water (7.5 - 12.5 ppm). Then about 24 hours later, the algae debris should be removed by standard cleaning procedures, including brushing loose algae spots, vacuuming the pool, and backwashing the filter. For treatment of a freshly cleaned and filled pool, add initially 50 to 75 ml of WSCP per 10,000 liters of water (5 - 7.5 ppm). To maintain pools free of visible algae growth, they should be treated with 15 to 30 ml of WSCP per 10,000 liters of water (1.5 - 3 ppm) every 5 - 7 days after the initial treatment. Uniform distribution of WSCP throughout the water in the pool is necessary for maximum effectiveness of the product. Poly [oxyethylene (dimethyliminio) ethylene -(dimethyliminio)ethylene dichloride] or Polyquaternium WSCP is compatible with those chemicals normally used to treat pools and is effective at both acid and alkaline pH. WSCP can be used in pools treated with chlorine chemicals and may reduce the amount of those chemicals normally required. However, do not mix WSCP with concentrated dry or liquid chlorine products. Industrial cooling systems, air washers, and influent water systems: Cooling Water Systems: Prior to treatment with Poly [oxyethylene (dimethyliminio) ethylene -(dimethyliminio)ethylene dichloride] or Polyquaternium WSCP, it is recommended that the system be thoroughly cleaned to remove all old algal growths, microbiological slime, and other deposits. The system should then be drained, flushed and charged with fresh water, with WSCP treatment following suit. To treat recirculating systems, an initial slug addition equivalent to 70 to 200 ml of WSCP per 10,000 liters of water (7 to 20 ppm) should be used. Repeat initial dosage until control is evident. Subsequent slug additions supplying 20 to 200 ml of WSCP per 10,000 liters of water (2 to 20 ppm) should be made every 2 to 5 days or as needed. The required frequency of addition will depend upon the relative amount of bleed off and the severity of the microbiological problem. Slug additions should be made in the sump of cooling towers. Air Wash Systems: Before treatment with WSCP, the system should be thoroughly cleaned to remove bacterial slime and other deposits. It should then be refilled and treated with a slug addition of 300 to 500 ml of WSCP per 10,000 liters of water (30 to 50 ppm). Subsequent additions of 200 to 500 ml of WSCP per 10,000 liters of water (20 to 50 ppm) should be employed every 1 to 5 days. Addition requirements will vary depending on the severity of the microbiological problem. Air Wash systems treated with WSCP should be equipped with mist eliminators. Influent Water Systems: WSCP should be metered continuously or intermittently at a rate equivalent to 10 to 100 ml per 10,000 liters of water (1 to 10 ppm) based on influent water volume. WSCP should never be added to potable water systems. Metalworking fluids: WSCP should be formulated into concentrated synthetic fluids in an amount that will provide 100 to 1000 ppm in the dilute fluid. Typical use concentrations of Poly [oxyethylene (dimethyliminio) ethylene -(dimethyliminio)ethylene dichloride] or Polyquaternium WSCP are in the range of 300 to 500 ppm. 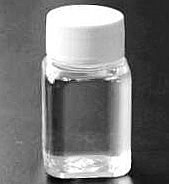 WSCP can also be utilized tank side in dosages of 100 to 1000 ppm. Frequency of addition will vary from case to case depending upon operating conditions. Because WSCP is cationic, its compatibility with fluids should be determined prior to use. WSCP should not be used in soluble oils. Starch solutions: For preservation of paper and paperboard mill starch solutions, addition of WSCP should range between 25 to 150 ppm based on the total starch solution volume prior to final dilution stage. It should be added to the starch solution storage tank after cooking and initial dilution. For preservation of starch adhesive solutions in paper and paperboard converting plants, addition of WSCP should range between 60 to 75 ppm and should be added to each batch after cooking as the cooling water is being added. For weekend preservation, addition of WSCP should range between 250 to 300 ppm and be added to the starch adhesive storage with good agitation to ensure uniform distribution.